College of the Rockies will be offering two new trades programs at the main campus in Cranbrook starting February 3, 2014. The Steamfitter/Pipefitter foundation-level (pre-apprenticeship) program is 21-weeks in length and includes both classroom theory and practical hands-on experience in a shop setting. 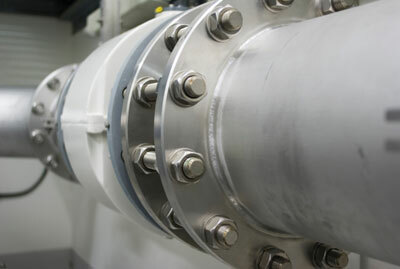 Pipefitters are responsible for constructing and repairing piping systems that carry water, steam, chemicals and fuel. Steamfitters specialize in pipe systems that move liquids or gases under high pressure. Steamfitters/Pipefitters often work on heating and cooling systems in large industrial plants as well as electrical power plants. Upon successful completion of the program, students will be credited with Level 1 Technical training and 375 work-based training hours. The Metal Fabricator (Fitter) foundation-level program is 23-weeks in length and includes both classroom theory and practical hands on shop experience. Upon successful completion of the program students receive credit for Level 1 Technical training and 450 work-based training hours. Metal Fabricators are responsible for building, assembling and repairing products made of steel or other metals for use in a wide variety of manufacturing and construction industries. Fabricators can work for sheet metal fabrication and welding shops and for manufacturers of structural steel, boilers, plate workers, heavy machinery and transportation equipment. The work of a metal fabricator is often intricate and highly precise. Steamfitter/Pipefitter and Metal Fabricator programs are new to the College and provide a great opportunity for local and regional students to obtain foundation-level training. More information on these and other Trades programs.